So, this Kansas City family photographer is very behind on blogging. This has been such a busy year, please forgive me! I’ve gotten the opportunity to work with so many wonderful families and the new studio has just been so incredible. It is nice to get outside when we are having this amazing weather to shoot, though! This summer has felt like early springtime to me, it is such a nice change of pace for our area. Who would have thought we would have weather that is this nice in July in Kansas City? 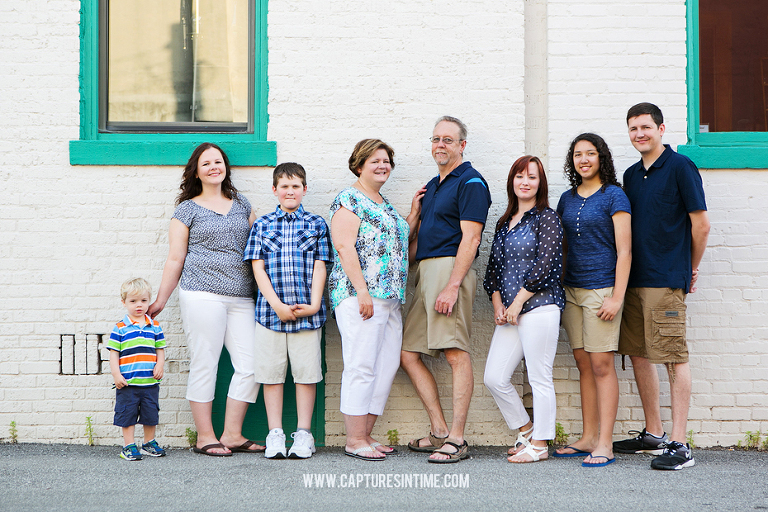 I have photographed half of this family before many times, ever since little Ethan was a teeny, tiny newborn. He was part of the Captures in Time “Tiny Toes” plan, which offers four sessions in the baby’s first year, including the newborn session. These sessions can be combined with our outdoor options around the studio, so you can have a nice mix of studio and outdoor images if you wish to. 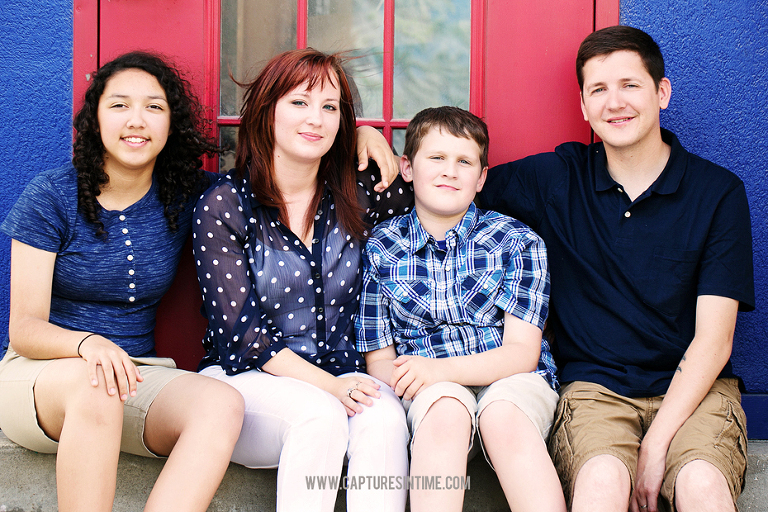 When Amelia’s brother planned a trip from overseas, Amelia immediately planned a Kansas City family photography session and we put it on the books. 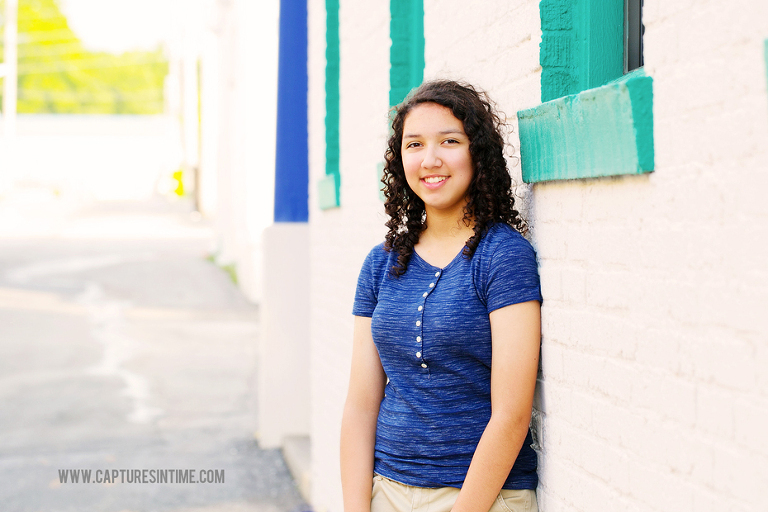 We shot this session in downtown Lee’s Summit, which offers lots of color and textures. I always love shooting there and the endless variety of options that the area offers. I loved how their main color in clothing choices was blue, but everyone didn’t match each other exactly. I think that is always the best way to go with a large, extended family session. These kids just had so much personality and were so sweet to work with. We had lots of fun and there were lots of laughs. We ended the session seeing the Train Depot in Downtown Lees Summit, which little Ethan absolutely could not wait for! I’m not saying you should bribe kids with a little something at the end, but it does help! 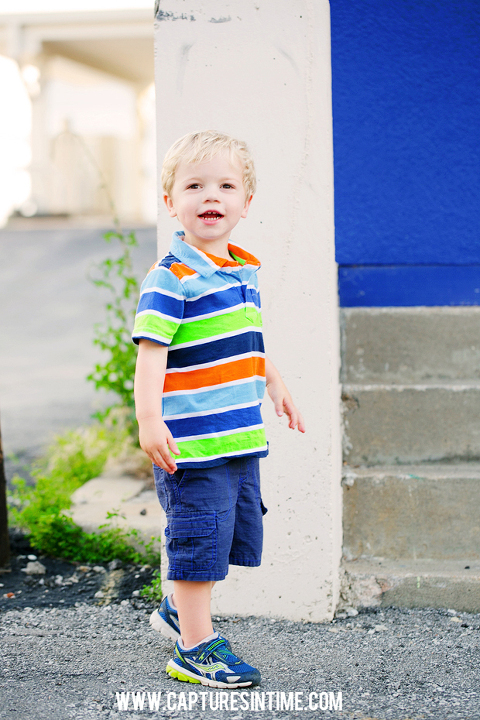 See our pricing page for details on booking your own family session! I have many gorgeous locations around Kansas City in mind!